Special Ability: Multitype - When this Pokémon moves to the field, choose one Pokémon on the field. While this Pokémon is on the field, this Pokémon's type becomes the type of the chosen Pokémon. This Pokémon is not excluded from the duel by the Attack effects of opposingPokémon. 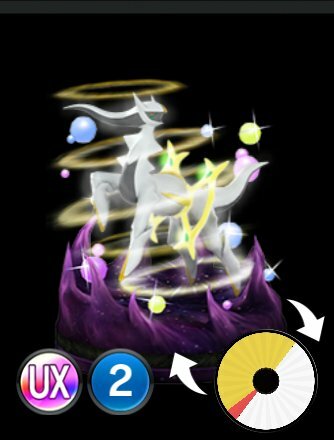 This Pokémon is not moves to the Ultra Space by the Attack effects of opposing Pokémon. 96 Breakneck Blitz White Z-Move Pokémon knocked out by this Attack's damage are temporarily excluded from the duel, returning to the bench 7 turns later. ?? ?